I’ve visited a lot of historical societies all over Pennsylvania. Most of these have been ones tasked with covering the entire county and located inside a grand building in the county seat. 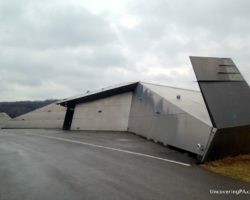 However, a few of these great museums have been located in much smaller areas. The Little Beaver Historical Society is one of these. 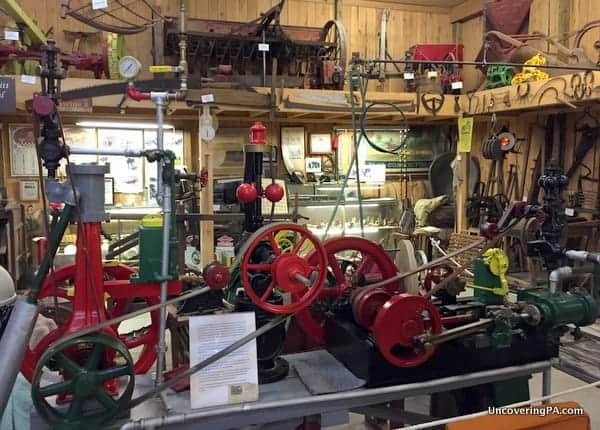 Located in Darlington, a borough of less than 300 residents along the banks of the Little Beaver Creek, the Little Beaver Historical Society packs a punch that’s well above its small size. 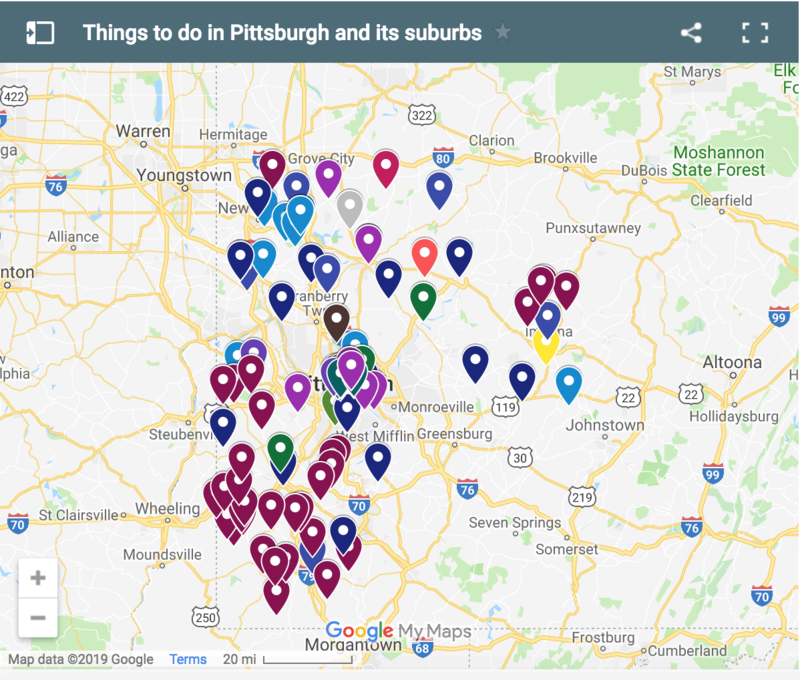 The historical society runs exhibits in four large buildings that are packed with information about communities in northern Beaver County and the rest of the surrounding area. 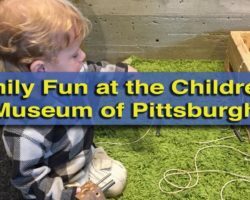 Combine that with the Beaver County Industrial Museum, which is next door, and you could spend an entire day in this tiny borough just learning about the county’s history. The main exhibits of the Little Beaver Historical Society Museum are located in a late 19th-century brick schoolhouse near the center of town. The two floors of this building feature a wide variety of items related to the history of northern Beaver County. As with most historical societies, the museum features many of the same items that you’ll find anywhere in the state. However, there are also many fascinating items that really caught my attention. The first, was a large piano owned by John Wallace. Wallace was a local composer who wrote movie scores and was also good friends with John Philip Sousa. 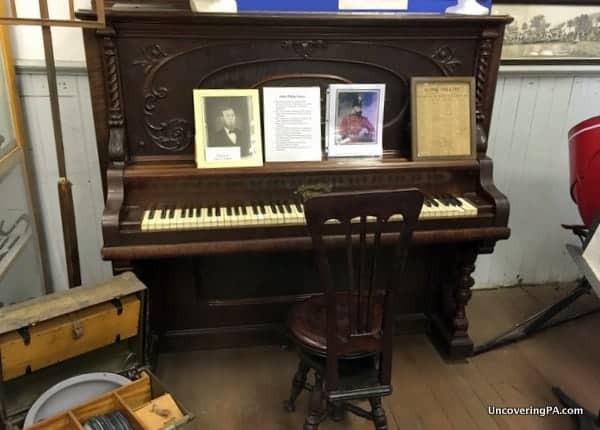 It is said that Sousa would play this piano when he came to visit his friend and that Wallace may have even used this piano to help Sousa with some arrangements. This piano was played by composer John Philip Sousa on his visits to Beaver County, PA. In addition to being a composer, Wallace was also an inventor, and the museum has a collection of toys that he created. Known as Sandy Andy, these toys had motors and gears and were quite advanced for their time. Also of interest are great collections of locally-made Mayer China, prison art, and Phoenix Glass. The second floor of the museum is comprised of little vignettes that showcase a variety of scenes from life in Beaver County. They cover everything from grandma’s kitchen to a replicated one-room schoolhouse. There is also a nice collection of home machinery, including looms, washing machines, and vacuums. 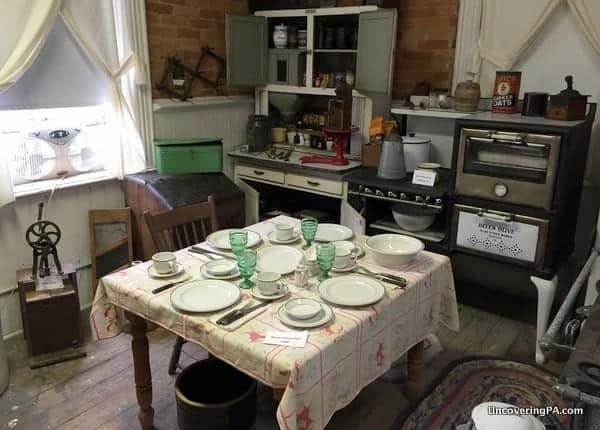 One of the vignettes set up on the second floor of the Little Beaver Historical Society Museum. In addition to this main museum, there are three other buildings that are a part of the Little Beaver Historical Society complex. 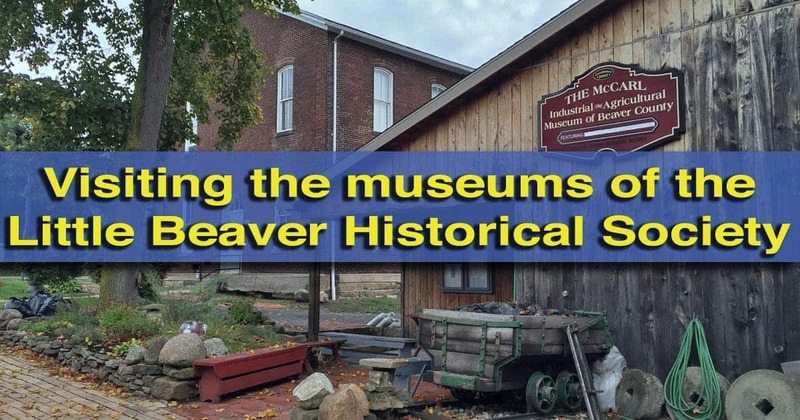 Next door is the large McCarl Industrial and Agricultural Museum of Beaver County (not to be confused with the nearby Beaver County Industrial Museum, which covers different topics). In this large workshop, a variety of machinery both large and small is on display. Many of these machines were used by local companies in the 19th and 20th century and were vital to the industry of Beaver County. Several of the pieces are quite rare, including what is thought to be the last working Champion engine in the world. If you are a fan of machinery or want to see some unique pieces related to the area’s industrial heritage, this is definitely an area not to miss. A collection of antique machines is on display at the museum. On the other side of the main museum is a small log cabin. Built in Ohio in 1812, it was moved once before finally finding its home at the Little Beaver Historical Society. 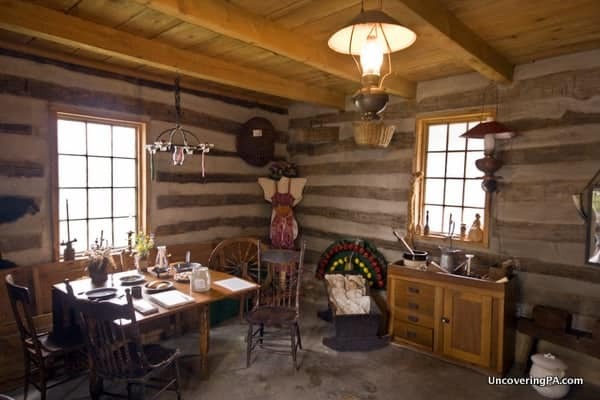 While the cabin might not be originally from Beaver County, it does a great job of showcasing what life was like for settlers on the American frontier during the early 19th century. At Christmastime, Santa comes to visit the cabin in what I can only imagine is one of the coolest places to see him anywhere in the country. The inside of the historical society’s 19th century log cabin. The last building of the Little Beaver Historical Society Museum is Greersburg Academy. Sitting a few blocks away from the other buildings, Greersburg Academy has the distinction of being the first academy built west of the Allegheny River and north of the Ohio River. 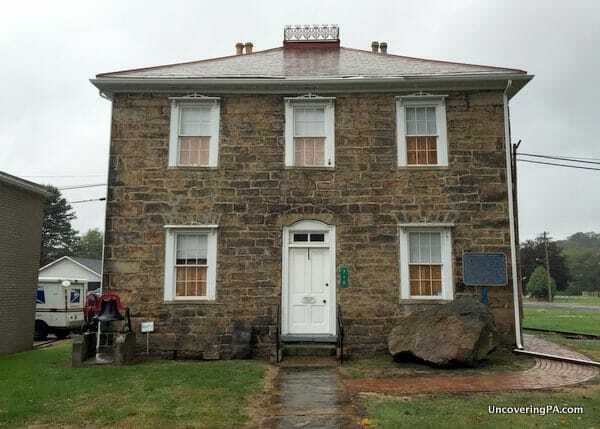 Constructed in 1802, this is also the oldest public building still standing in Beaver County. The Greersburg Academy is the oldest public building in Beaver County that is still standing. Inside, the displays cover everything from the Underground Railroad to Native Americans. 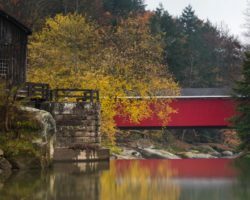 The Underground Railroad was quite active in Beaver County, as it was in much of western Pennsylvania, and the museum features information on both the people and buildings in the area that were used to help escaping slaves. 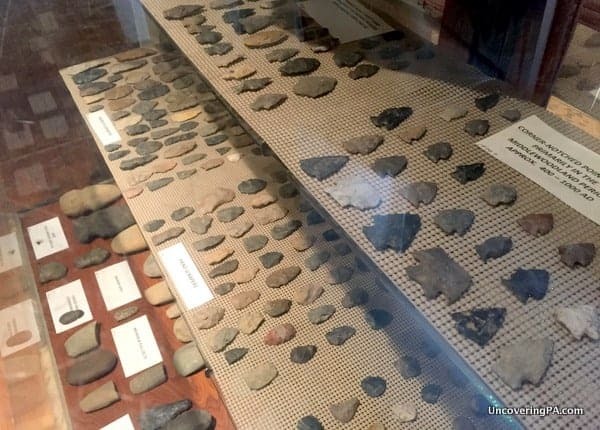 The second floor of the old academy has a large collection of local Native American artifacts, information on the 18th-century Fort McIntosh, and a room full of locally-made glass. One of the more curious items in the Greersburg Academy is a bed frame that was said to have been used by John Brown (of Harpers Ferry fame) while he was staying at the school. There is little beyond hearsay to back this up, but Brown did spend a decade of his life in nearby Crawford County, Pennsylvania. A collection of locally-found Native American artifacts on display at the Greersburg Academy. Despite there being three buildings that comprise the Little Beaver Historical Society, there is very little overlap between the different buildings. This means that history lovers can spend an entire day exploring the area’s great history. 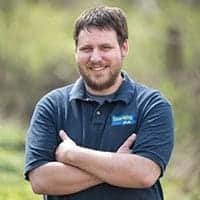 As I said at the beginning, I’ve been to many different historical societies around Pennsylvania, but I’ve come across very few that have done more to preserve their area’s history than the Little Beaver Historical Society in Darlington. 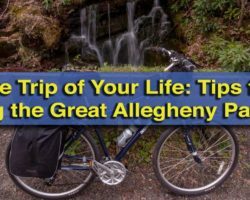 If you love learning local history, take a day to visit this great area of Beaver County. Hours: Open one weekend a month and by appointment. Nice pictures. These guys do a great service.